With the holidays fast approaching, it isn’t surprising that people are feeling stressed. This stress, however, can lead to accidents when people aren’t sufficiently careful. To enjoy the holiday season properly, identify common household accidents during the holidays and take steps to avoid them. Even if you don’t engage in competitive decorating, you might still put a few strings of lights up outside. Remember to use a proper extension cord, if necessary. Extension cords that you would use inside are not appropriate for outdoor use since they are not waterproof and can catch on fire. Instead, get a cord specifically for outdoors. The only thing worse than an outside fire is one that starts inside the home. When trees become too dried out, they pose a greater risk of catching on fire. To prevent this, make sure that your tree is properly watered, which might require that you buy a special stand that can hold water. Also keep open flames from candles away from the tree and turn the lights off when you are not home. According to Forbes, about 200 Christmas trees catch on fire each year, so this is a very real hazard. A simple papercut from holiday wrapping paper is no big deal. But you might suffer more serious injuries if you use scissors or a box cutter to open a gift and negligently end up stabbing yourself. Be very careful using these instruments and don’t give them to children to use. Remember to pass scissors the way you were taught in elementary school—the handle first. In homes with a lot of gifts, particularly children’s toys, it is very easy to slip or trip on something and take a tumble. Some disorganization is to be expected while opening gifts, but you should try to get everything organized before your elderly relatives come over for dinner. Have children take the toys immediately into a play room, or get a giant box or tub to put everything in. Regularly check to make sure there are no toys on the floor and encourage your guests to watch their feet so they don’t trip over anything. A holiday meal might be the largest you cook all year, and it is easy to get burned from scalding water, hot pans, or kitchen equipment. Remember to keep little ones out of the kitchen. They can easily get burned and, moreover, can cause confusion, which increases the risk of adults getting burned. You can also reduce the stress and chaos by cooking as much food ahead of time as possible. Happy Holidays from Bundza & Rodriguez! If you are injured by a defective product, we want to hear about it. Our Daytona Beach personal injury lawyers at Bundza & Rodriguez, P.A. 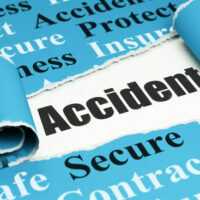 have decades of experience assisting people with serious injuries caused by accidents. To schedule a free initial consultation, please call us today at 386-252-5170.